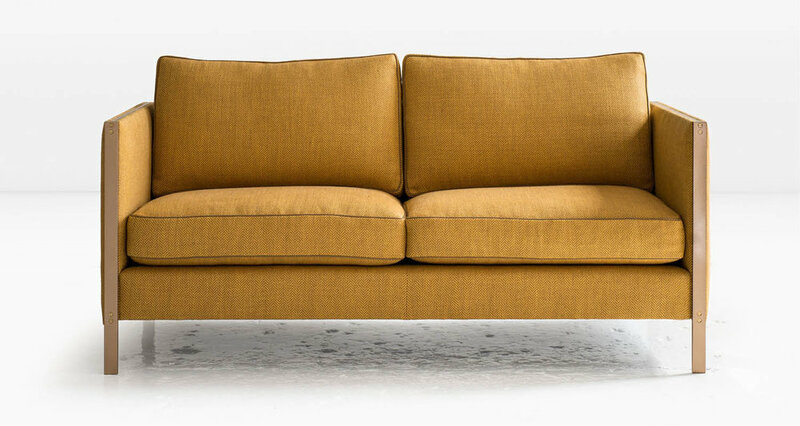 The melding of a strong form with a wonderfully slouchy sit. Down-filled seat and back cushions. Shown with Solid Silicon Bronze frame and Linen Herringbone fabric. Available in other metals.